Samsung Galaxy A7 smartphone made its debut in 2015 and to no surprise; the phone was a huge welcome to many in its target markets. It is no wonder Samsung is once again coming in with a refreshed version of last year’s release, with the device coming in with quite amazing improvements. Here’s a look at the refreshed Samsung Galaxy A7 (2016) in terms of specs, features as well as price. To make the Galaxy A7 look a little more premium, Samsung introduced glass and metal in this year’s model. In addition, there is Corning’s Gorilla Glass 4 for protection, both on the front and rear. Samsung Galaxy A7 (2016) looks a lot like the Galaxy S6 in terms of outward appearance thanks to the chrome ring around the home button as well as the chamfered edges. If you are looking for anything related to style and build quality, you have it in this year’s Galaxy A7. Under the hood, Samsung Galaxy A7 (2016) packs some quite impressive hardware and specs. The phone, which is actually a mid-range device, is installed with an octa-core Exynos SoC and a massive RAM of 3GB. Even though the onboard storage of 16GB seems somehow insufficient, there is room to expand it using a microSD card of up to 128GB. To keep the phablet powered is a 3300mAh battery unit, which should give you a full day of maximum use. Samsung has also added fast charging technology that gets the phone’s battery from 0 to 80% in less than an hour. On the rear of the phone is a 13MP snapper that comes with an impressive aperture of f/1.9. The snapper also supports OIS as well as the recording of full HD videos. Even though this snapper gives one of the best performances of a smartphone camera, it still lags behind when it comes to low-light photography. On the front, you’ll come across a 5MP snapper, which should be decent enough for selfies and related activities. 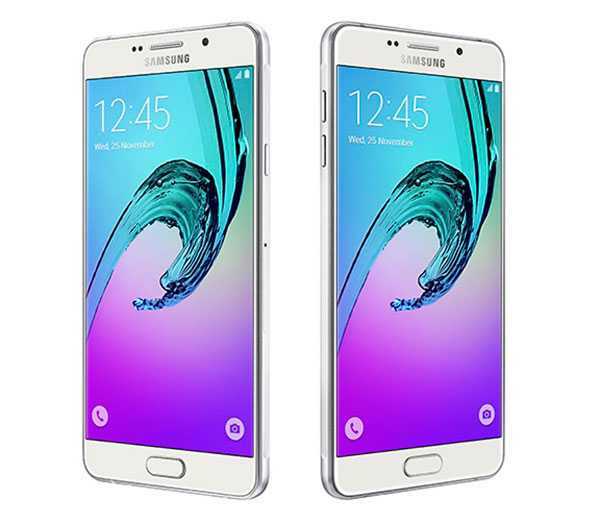 Samsung Galaxy A7 (2016) should be a phone targeting the mid or low-end markets. With Samsung pricing it at about $490, it might be easier for some to opt for the flagship Samsung Galaxy S6 that is currently priced at about $510.